Ontario has presented the town of Honfleur, France, with a commemorative plaque recognizing the historical, social, cultural and economic ties that link Ontario to France and marking 400 years of French presence in Ontario. French explorer Samuel de Champlain embarked on his voyage to North America from the port of Honfleur in 1615 to explore the territory that would become Ontario. 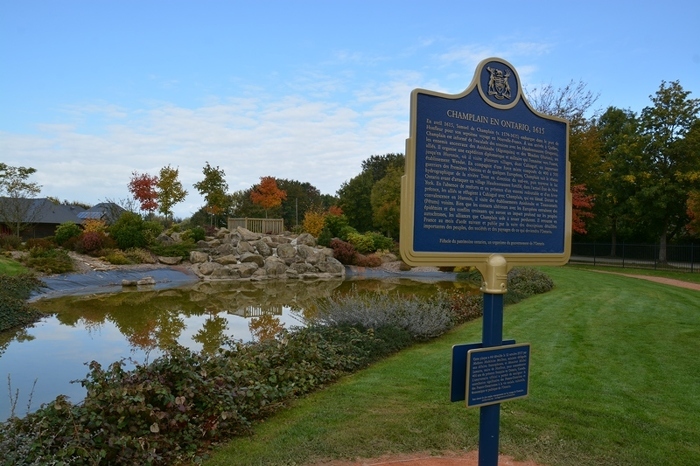 Today, the legacy of Champlain's exploration benefits both Ontario and France. The province hosts more than a third of all commercial exchanges between France and Canada. Supporting the Franco-Ontarian community is part of the government's economic plan to build Ontario up. This four-part plan includes investing in people's talents and skills, making the largest investment in public infrastructure in Ontario's history, creating a dynamic and innovative environment where business thrives, and building a secure savings plan so everyone can afford to retire. The year 2015 marks the 400th anniversary of French explorer Samuel de Champlain’s first passage through Ontario. More than 610,000 francophones live in Ontario. It is the largest French-speaking community in Canada outside of Quebec. Watch the new release of the 400th Anniversary video. Discover all of the activities and projects tied to the 400th Commemoration. Consult the Assemblée de la francophonie de l’Ontario’s calendar of accredited events. This document was published on October 12, 2015 and is provided for archival and research purposes.